Lateral view of lumbar spine shows heavily calcified aorta. Calcifications make outlines of an abdominal aneurysm visible even on plain radiograph. 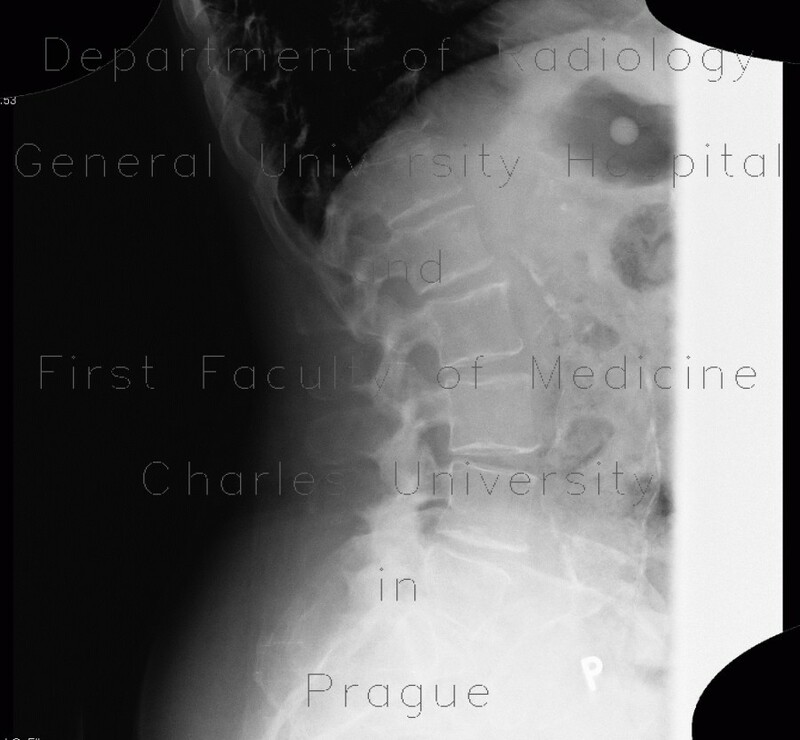 Next two radiographs of lumbar spine show stent placed in the aorta.